It is important to have someone to rely on for quality work when it comes to your Granby roofing contractor services. This is why so many smart homeowners call on Brian O'Donnell Quality Home Improvements to get the job done. In fact, this is the same name that they have been counting on since 1978. Brian, and his team of pros, take great pride in the work that we do and that shows in the results that we get for every job that we take on. Brian will meet you at your home before taking on or starting any roofing job, and review your unique needs. This will help to make sure that you understand the process and have your questions answered. This is your home and you should be aware of what is happening, so don't trust any roofer in Granby, CT who opts to leave you in the dark. We take care of a wide variety of service needs, as well. One example of the work we do includes our storm damage repairs in Granby, CT. No one wants to have to deal with having storm damage. However, we can help make the process that much easier to get through. It is important to realize that you can have damage without even realizing it. Too many homeowners assume that they can assess the damage from the ground with an untrained eye. You need to be able to depend on an expert to assess the rooftop, even if it appears that there is no damage. Brian and his team will not only be able to quickly assess the damage, we can help you by making the insurance process make sense. If you even suspect you may have damage resulting from a recent weather related event, give our professional roofers in Granby a call right away to schedule a roof inspection. 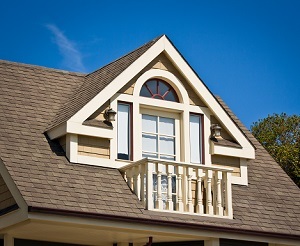 Sometimes homeowners ask what the difference is between one roofing contractor and another. The truth of the matter is, you can get superior quality or inferior quality when it comes to the work that you get for your roofing. However, there is a lot more to it than that and it comes down to the little details too. Aside from offering exceptional service for a more than reasonable price, we also take care of things like making sure our process is as environmentally friendly as possible. Brian doesn't arrive to the job site with a dumpster because he makes it a point to recycle what is left behind. It is the responsible thing to do and you can feel good about working with us. 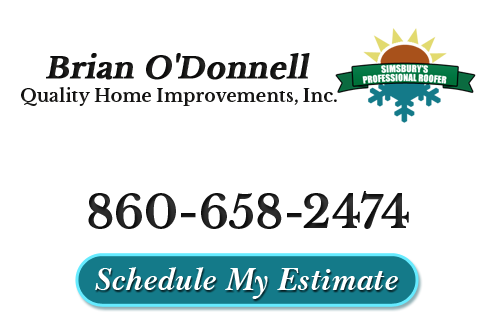 Brian O'Donnell Quality Home Improvements isn't just about great roofing services in Granby, CT, we are also about taking care of related tasks – like skylights. From installation to removal, we can do it all. Having a skylight or sun tunnel is a great additional feature to any home but not if there are problems with the work or materials. We can provide you with the best in quality workmanship, materials and even customer service, from start to finish. We want you to feel good about making the decision to choose working with us. Lots of people make claims to be the best Granby roofing contractor but few have the credentials and background to back it up. Let our almost four decades of expertise speak volumes for the work we do. Your roof is the most important aspect of your home. Make it a point to get the level of quality service you need for it. "Brian's crew did top-notch work. They were slow, methodical, and took the time to do it right. They were not cheap. But their work has stood the test of time and survived 6 years and at least 2 absolutely horrendous winters with ice dams galore with ZERO leaks or problems. They only do things right, like removing the siding in valleys to get the flashing and ice-shield high up on the wall abutting the roof. Things like this take a lot of time and are almost always skipped by the faster and cheaper guys. One of their guys took the time to use copper flashing around a particularly tricky chimney. It was slow and tedious work but my guess is it'll still be there in 30+ years." "We hired Brian O'Donnell to re-roof our house and replace the skylights. We had 2 other local companies give us estimates and a description of what would be done, but Brian was the only one who figured out what was really happening with the ridge vent, and knew how to fix it. The others just wanted to replace it with the same thing. We'd already had that done once and still had problems. His crew was very professional and very skilled. It's been a year now and we have had no problems and everything looks fantastic. We are extremely happy we chose Brian's company and recommend him 110%." If you are looking for a professional Granby roofing contractor then please call 860-658-2474 or complete our online request form.